Debbie Gruber Testimonial from M Cheyne on Vimeo. Debbie Gruber has been my piano teacher for the past 7 1/2 months. By way of background, I am in my late 60s, and while having taken classical piano lessons as a child and teen, I never progressed much on the instrument, dabbling here and there over the years. I've always loved jazz and finally decided to bite the bullet and try jazz piano lessons last January. I found Debbie on a site listing local jazz piano teachers, and I contacted her. I lucked out--she is a superb teacher, not to mention a talented jazz pianist and singer who performs frequently. She started me off on the (sorely needed) basics, with chord progressions, scales and arpeggios, which has improved my technique to the point that my brother, a jazz clarinetist not given to hyperbole, was astounded this summer at how much progress I 've made on the piano since he last saw me over the holidays. Debbie and I have also worked on several jazz standards which make practicing enjoyable, and speaking of practice, she has given me some extremely helpful techniques for successful practicing--which, though so important, few teachers focus on. Debbie is versatile and flexible; when I asked her recently to help me learn to harmonize, she embraced the request with enthusiasm, and I am already feeling the results of her ear training. Personally, Debbie is very warm, dedicated, patient and refreshingly balanced in her feedback; she provides praise when warranted, and constructive feedback when needed. In closing I'll simply say that I couldn't ask for a better teacher. First and foremost, THANK YOU beyond for the class on Saturday. I cannot say HOW pumped I was during and after it, feeling as I did that I can truly do this. The degree to which I want to (and have wanted to) and now feel as though I can is ....unbelievable. I just so want to feel I can express music through an instrument other than my voice or body. This is JUST what I want, and your way of teaching is just the way I know I can learn it. The Cambridge Center for Adult Education has been fortunate to have Debbie Gruber serve as one of our teachers for nearly a decade now. She teaches piano and voice. Debbie is an excellent teacher who is able to inspire adult learners to take chances, expand their skills and grow. She has first rate presentation skills and a striking capacity to share her enthusiasm for music with others. Students who take her classes are consistently delighted with her gift to inspire and encourage. "I met Debbie almost ten years ago when I attended her “Shower Singing in Public” class, and she has been my private voice teacher ever since! During my lessons, Debbie incorporates music theory and techniques which have enhanced my vocal abilities, as well as given me the confidence to perform in various choruses and choirs, both as part of a group and as a soloist. Also, for almost two years my nine-year old daughter has taken piano lessons from Debbie, and I’m so impressed at how much she has learned in such a short period of time. Debbie’s vast knowledge and teaching style have benefitted me and my daughter in so many ways. She is the most wonderful music teacher and mentor!" "I'm writing to tell you how much I appreciated attending your "Instant Piano for Hopelessly Busy People" class today. Having spent two years in lessons from two other instructors, I really wasn't expecting the class to very helpful. You very pleasantly surprised me by providing quite a lot of very useful information in a very short time, Your highly organized presentation, accompanied by your excellent workbook and CD, plenty of demonstrations and the use of keyboards to practice the lessons on the spot, went right to the heart of the matter. I am convinced that your help will allow me to play the piano better, quickly and effectively, if I apply a minimum of self-discipline. And you've convinced me that I should, indeed, practice the simple exercises that you've shown me. Since jazz is my primary musical interest, I look forward to the chance to take two more of your workshops: "Playing Piano By Ear" and "You Can Play The Blues." Your www.EasyPianoStyles.com website and eNotes newsletter will let me know when I can. Please accept my thanks until I can tell you in person during my next session with you." 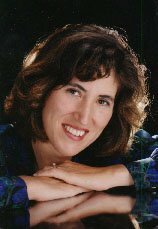 "Debbie Gruber's approach to piano teaching is wonderful. Unlike intimidating classical approaches to piano, her method focuses on fun ways in which to learn to play right away. It has enabled me to stick with it and it's given me a sense of immediate progress and belief in my abilities. The books and cds are easy to follow and reveal the basic secrets of piano playing in a clear and extremely useful way. I recommend her courses to anyone." "The entire class was excellent. I liked the pointers and demonstrations. Debbie was a very likeable instructor"
"I took your Shower Singing class and I hear a difference in some notes after practicing with the CD I got in your class.. . if I hadn't taken your class, I would never have heard a nice sounding note which gave me the hope that there was a better voice buried inside of me! THANK YOU SO MUCH for doing that for me!I've been taking voice lessons now for 2 years. and to my surprise the improvements just keep coming and I am still having "breakthroughs"! I keep thinking how glad I am that I went to your Shower Singing class a few years ago!! It's changed my life in a very positive and joyful way! Thanks to you a whole new world opened up for me! So, another big heart felt THANK YOU! "I took your "Shower Singing in Public" class last spring at the BCAE, and I just wanted to let you know how much it helped me. I used your vocal exercises and breath exercises this summer to practice, and auditioned for the Back Bay Chorale this past week and made it! Your course and materials gave me the confidence that I needed to do something that I have always wanted to do. Thank you so much!" "I learned the fundamentals of singing. I now can sing with more confidence. The energy was unreal. The teacher (Debbie) was so patient, knowledgeable and fun. This class was fantastic. I loved it!" "This singing class far surpassed my expectations. Debbie has taught the class for many years and has it down pat. She's encouraging and corrects you in the nicest way. I was very nervous but she put me at ease immediately. I loved this class and the instructor. I will recommend it to others." "The class inspired me and exceeded my expectations. There really are no short cuts to learning how to play piano well, but this class made me realize I don't need to practice for years to have fun!" "I feel empowered and more confident in playing. The topic was made very approachable so I was able to get lots out of this class. Wonderful!" “I am 62 years old and reside in the suburb of Mumbai city in India. I had a great ambition to learn Piano/Keyboard from my younger days, but it did not materialize till I turned 60. After my retirement from my job, I started approaching piano teachers to learn Keyboard, but nobody would take me as their student due to my age and I did not have any basic knowledge on keyboard. This forced me to search for online piano courses and I purchased few courses. But hardly any of these courses helped me to learn Keyboard. About 18 months back I came across the web site of EasyPianoStyles and my actual Keyboard learning journey started. 1. Making things quite simple so a new learner like me could easily understand. 2. Giving many piano tips to her students. 3. Inspiring her students to practice the exercises. For 3 months I have started playing the keyboard in my church. I accompany the choir on keyboard. Thanks to Debbie for motivating me and teaching me the Keyboard. "I just wanted to applaud you for the valuable insights that you provide via your newsletter. I've subscribed to a couple of jazz piano sites over the past couple of years (and gained valuable information) however I found that your "mini-lessons" provided as much if not more value (e.g. 11th chord, passing chords, fill via straddle) and something that I could put to immediate use. My hat is off to you for providing this information and doing it in such a compelling and generous style." "Dear Debbie, Thank YOU ever so much for these lessons!! They help me alot...really. I AM getting better on the ivories. This past summer I was in "bestBuy" just fooling around on their "demo's",and helped sell a Yamaha P-95 to a nice couple,and then on my way out of the store the security guard said,"Was that YOU playing the piano, you sounded pretty darn Good"!! KooL! Self-Esteem up a notch! Totally independent source...."
"Your free lessons are really great and the best I could find on the internet. Thanks so much! God bless you and many greetings from Germany!" "I just wanted to thank you for the wonderful eNotes you provide. While I recently downloaded all of your past lessons (audio and video), I had to help support your efforts here with an actual sale so I bought Bundle #2 and wait with great anticipation for its arrival. I have been away from the piano for years and while I have wanted to return, there has always been a plethora of reasons for not doing so. Your website inspired me to start up again. I offer online classes myself but in a much different subject, emergency medicine. I have appreciated your very relaxed and informal style of teaching online and hope I come off half as well as you do. BTW, looking back at one of your original postcards, it asked for suggestions for your mom's prison chorus and that pretty much clinched it for me to actually buy something to again contribute to the continuation of what you are doing. Your daughter, your new puppy, the ridiculous shaking camera were all wonderful. Your grace, compassion and humility come through with every broadcast. I wish you the greatest success and again thank you. Although I am pretty sure you have many students online, I sincerely appreciate this enote that you have sent me. I have been through so much in my life, (and who hasn't) but one thing stands for sure, is the gift and love for the piano and the opportunity of playing the piano and music which is in my blood and the sincere appreciation that there exists people like you as passionate about music and willing to share and teach us students what you have already mastered. Thank you so much for just being there for all of us aspiring pianists. Your teachings are simple and to the point and more often times than not, this is missing from all the other piano courses out there. Other courses don't put emphasis on these simple yet important techniques that you provide. I think your method is pure and natural and should be used in other teaching methods. But then again, that is why we have Debbie! Thank you for all of your great lessons Debbie and to your success always. Hi Debbie. You have the best piano tutorials on YouTube. Love your work.